I was out and about today and spotted this... Anyone know the artist? 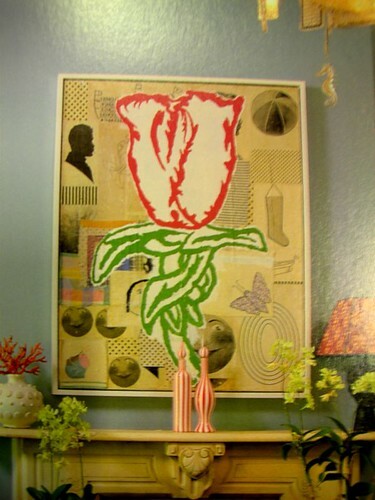 I've seen this work in several design magazines and books, in various sizes, a collage of images with a single bloom (red/green) always at the focal point. However, I'm not able to recall who the artist is. Can someone help me?